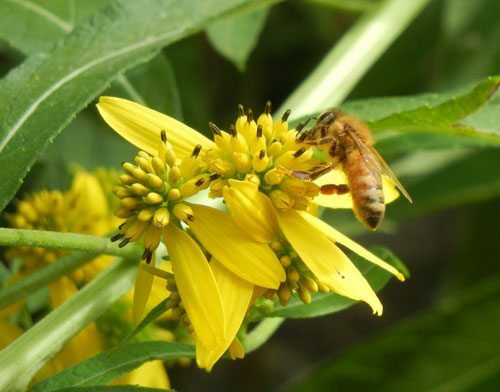 Join us for Iowa’s premier beekeeping class! This eight-session series is designed for individuals serious about keeping bees. It will take you through the annual cycle of beekeeping from establishing a hive to harvesting and marketing the honey produced. 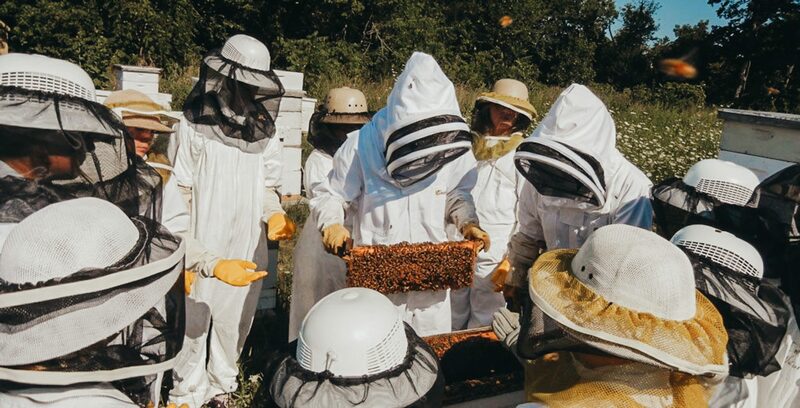 You will gain valuable hands-on experience by working with the hives at Indian Creek Nature Center. All classes are held at the Nature Center and last approximately three hours. Participants must register prior to the first class of each year, and be in attendance at the first class. Online registration is now open. Please email us or call 319-362-0664 with any questions. Many people believe local honey helps combat allergies. Whether you use it to stay healthy, flavor your tea, or for baking, we have all your local supply in the Creekside Shop! Made from bees at ICNC and throughout Linn County our honey is for sale in a variety of sizes up to 5 pounds. Residents of many cities within Linn and surrounding counties are not allowed to keep bees on their property. Indian Creek Nature Center has limited space in its apiary to accommodate those wishing to keep bees. You must be enrolled or have previously completed the Beginning Beekeeping Series to lease a hive. A variety of rental options are available. For more information on hive leasing, please email Kelli Kennon-Lane. The Beekeeper’s Handbook by Diana Sammataro and Alphonse Aritabile, 4th edition is the text used in the class. It is also a helpful guide for those wishing to pursue the hobby on their own. We strongly encourage you to purchase the text in our Creekside Shop or online as you register for the class, and it will be ready for you at the first lecture. Bee ordering is now CLOSED at this time!